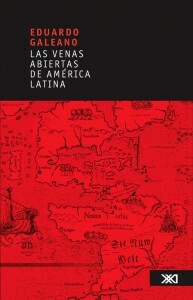 Rather than chronology, geography, or political successions, Eduardo Galeano has organized the various facets of Latin American history according to the patterns of five centuries of exploitation. Thus he is concerned with gold and silver, cacao and cotton, rubber and coffee, fruit, hides and wool, petroleum, iron, nickel, manganese, copper, aluminum ore, nitrates, and tin. These are the veins which he traces through the body of the entire continent, up to the Rio Grande and throughout the Caribbean, and all the way to their open ends where they empty into the coffers of wealth in the United States and Europe.